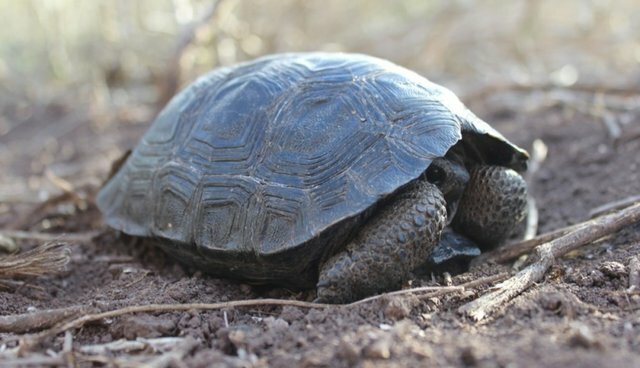 After more than a century without a single baby tortoise sighting on the Galapagos island of Pinzón, a small group of the tiny, shelled youngsters have been spotted again. The recent births are helping to pull the critically endangered animals back from the brink of extinction after they were nearly laid to waste as a result of human activity. "I'm amazed that the tortoises gave us the opportunity to make up for our mistakes after so long," researcher James Gibbs who was among the first to see the hatchlings in December, told The Dodo. When sailors first landed on Pinzón Island in the mid-18th century, they inadvertently triggered an environmental catastrophe that has taken generations to correct. Rats aboard those early vessels quickly gained a foothold in the fragile ecosystem, feasting on the eggs and hatchlings of the island's tortoises who, up until then, had few natural predators. The rats were so devastating, in fact, that over the following decades not a single tortoise offspring survived the onslaught - setting the species on the path to extinction. But just as human activity nearly spelled doom for the imperiled animals, it has also helped to save them. 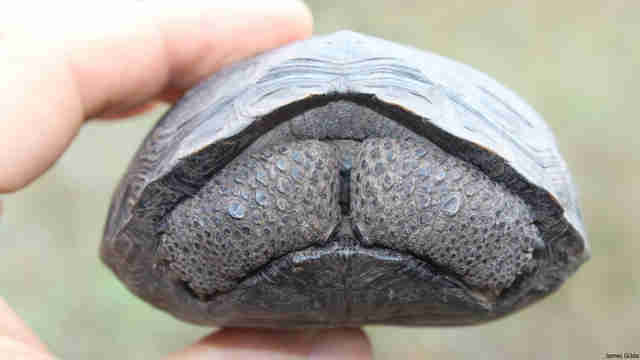 In the 1960s, with only 100 tortoises remaining, conservationists launched a concerted effort to preserve the species. The few unhatched eggs that could be found were carefully collected and incubated on another island, where they were hatched and raised for five years - until they were large enough not to be attacked by rats - before being released back on Pinzón. But the rodent problem still plagued any eggs that remained on the island. Then, in 2012, biologists used helicopters to distribute poison designed to attract only rats. It was a first-of-its-kind operation, but it worked; Pinzón was recently declared rat-free. "The incredible eradication of rats on this island, done by the park service and others, has created the opportunity for the tortoises to breed for the first time," says Gibbs. 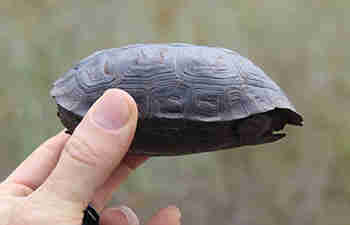 "We did a survey [in December] to see if it was working for the tortoises, and we found 10 new hatchlings. This is the first time they've bred in the wild in more than a century." "Given projection probabilities, I'm sure there were a hundred times more hatchlings out there." 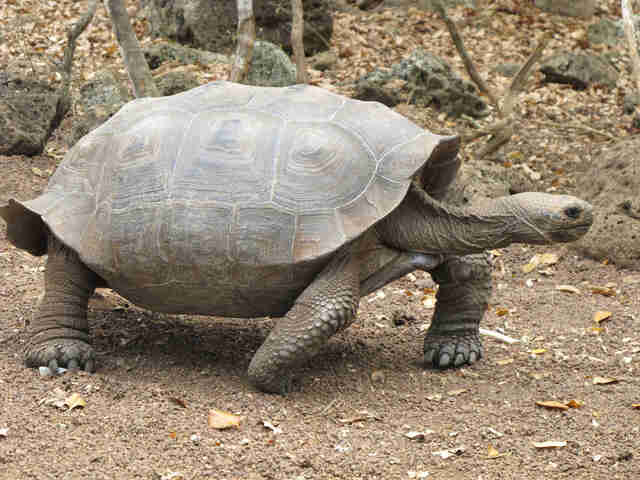 Gibbs and his team spotted 300 tortoises in all on the trip, which he says suggests that there are now more than 500 estimated to be currently living on the island.